Earn Rewards and save money! 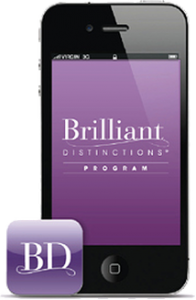 The Brilliant Distinctions® Points Program allows you to earn points for your eligible Botox®, Juvederm® XC and Latisse® purchases. Your points are redeemable for savings on future Botox and Juvederm XC treatments as well as the purchase of Latisse for longer, thicker lashes. The points you bank up can be redeemed for dollars off on select Allergan products and services including Botox, Juvederm XC and Latisse. The more you participate in the program, the greater the rewards! You have opportunity to earn bonus points when you have Botox and Juvederm XC treatments or purchase Latisse. Follow these 2 easy steps to sign up for Brilliant Distinctions. Step 2: Create your profile: *Please record your email and password, as you will need them every time you access the Brilliant Distinctions Program. http://www.botoxcosmetic.com/brilliantdistinctionsProgram or call: Brilliant Distinctions direct 888-324-2745. You Can Also Register Using the Brilliant Distinctions Mobile App for iPhone. Visit BDmobileApp.com for Your FREE Download! Since this is not a program created or maintained by Xanadu Med Spa, we cannot honor any discounts offered by the Brilliant Distinctions Program unless a printed coupon is presented at the time of treatment. We do not have the power to make exceptions since it is not an in-house program. We simply offer it as a benefit to our clients.